Stomach is one of the most frequently involved extracutaneous location for Glomus tumor and related entities. There is a strong female predilection. In this image, gastric mucosa in on the top. 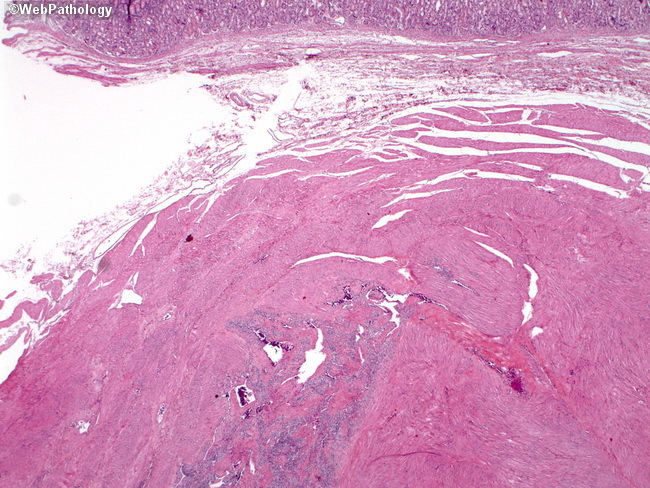 The tumor is visible as basophilic areas within the muscle bundles near the bottom center of the image.